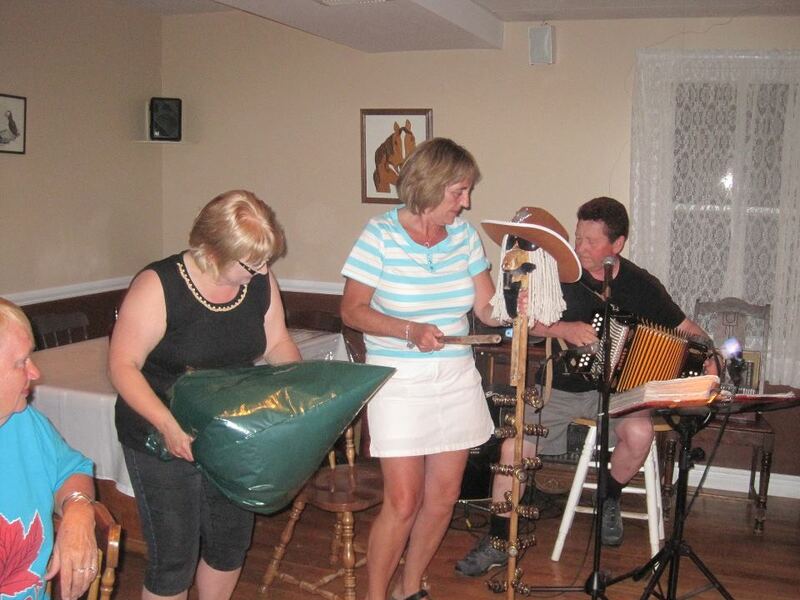 Deeply rooted in Newfoundland & Labrador tradition, the iconic "Kitchen Party" is a social gathering where people gather in a kitchen, telling stories, singing songs and dancing across the floor to accordion music. 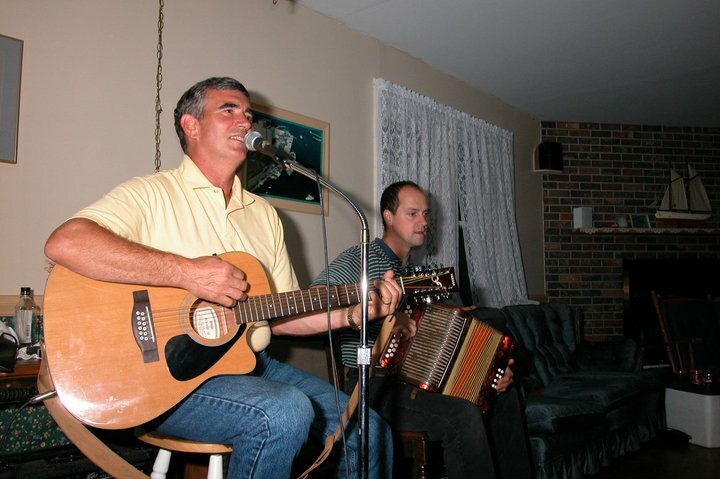 Traditional Newfoundland music first started as a pastime shared among local musicians. These songs were, for the most part, written in the homes of these musicians long before they were heard in more formal settings, such as concert halls. At Woody Island, we still partake in these old Newfoundland traditions. A Kitchen Party can be experienced like the olden days. Join in on a sing-along or dance the "Virginia Reel" while our musicians entertain you with traditional Newfoundland music. Or just sit back and take it all in, getting lost in the jiggs and reels of the music that were written many, many moons ago. What kind of animals are on Woody Island? We have seen a lot of different kinds of wildlife here on Woody Island. As the resort is only accessible by boat, guests sometimes see whales and dolphins before they even reach the island. 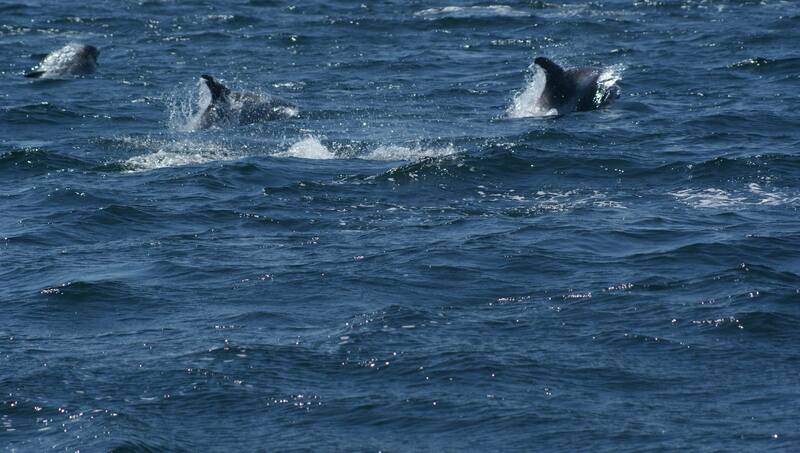 Dolphins are curious animals and sometimes follow the boat, jumping in and around its waves. 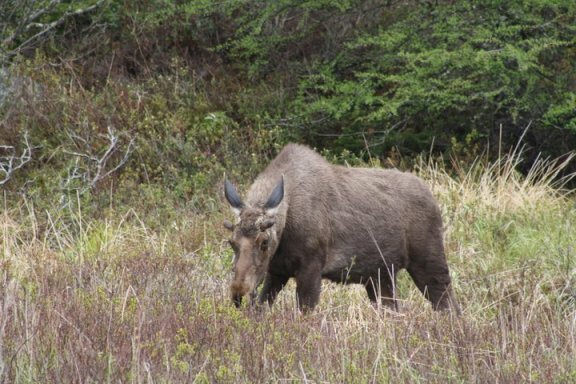 On the island itself, it's not uncommon to see small mammals such as rabbits, squirrels and otters, We have also has a few moose stop by. Moose can swim and take advantage of the islands close proximity to each other to forage for food. Another attraction on the island, is the selection of birds to see. 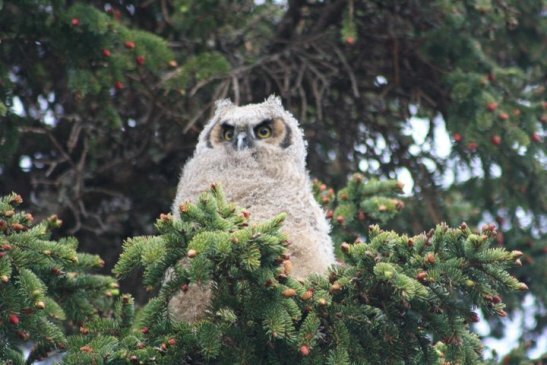 We often see grouse, ospreys, bald eagles and owls. There are also grey jays. These smart birds have discovered that people are great resources for getting food from, they will even eat straight out of your hand. 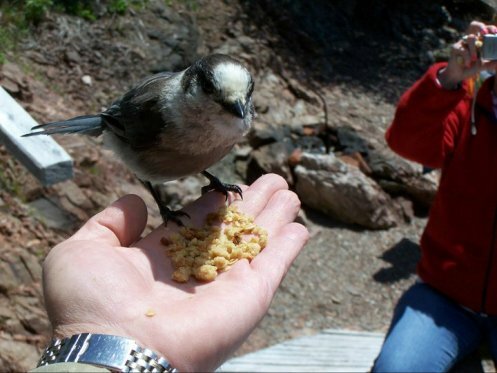 Grey jays also store food for the winter, maybe that is why they never seem to get full! Mummering is an old Christmas tradition that originated in England and Ireland and can be traced back to the 19th century. Also known as "janneying", mummering typically involved friends or family disguised in old clothing with their faces hidden visiting home in their neighborhood and community during the twelve days of Christmas. 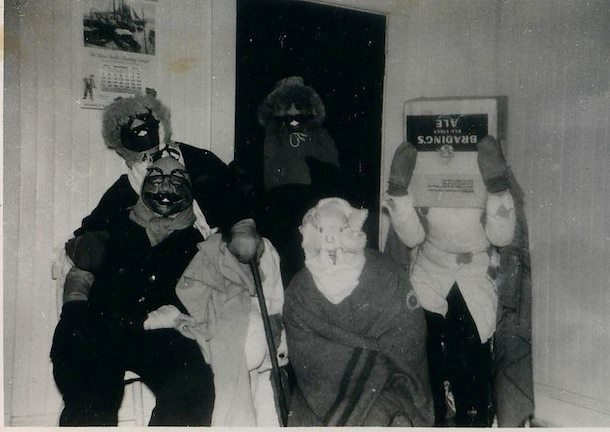 In spite of mummering being banned by an Act in 1861, which came about because a man in Bay Roberts was killed by a group of mummers, it is still enjoyed as a popular pastime in many rural areas today and is making a comeback in some urban areas as well. With regards to costumes anything goes, from men wearing stuffed bras and women wearing oil skins, with cloths over their faces. It seems that there is no article of clothing that is out of bounds for a mummer's outfit. 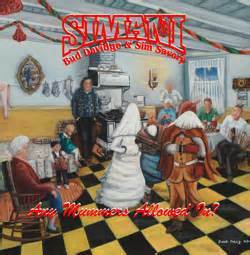 The "Mummers' Song" by Simani gives one a great perspective of the mummers. To listen to The Mummer's Song by Semani, click here! An unsuspecting host could be enjoying a quiet evening by the fire, when all of a sudden he/she would hear a loud knock on the front door and soon their house would be flooded by their friends and family in disguise. In some areas the host would then try to guess the identities of each person before offering them any treats or beverages. Once the identities of the mummers was revealed, they could take off their face coverings and kick up their heels to some music along with their host. While mummering is a Christmas tradition, it doesn't stop people from dressing up as mummers at other times of the year. It is often a part of "Christmas in July", an event that has become common in the province. 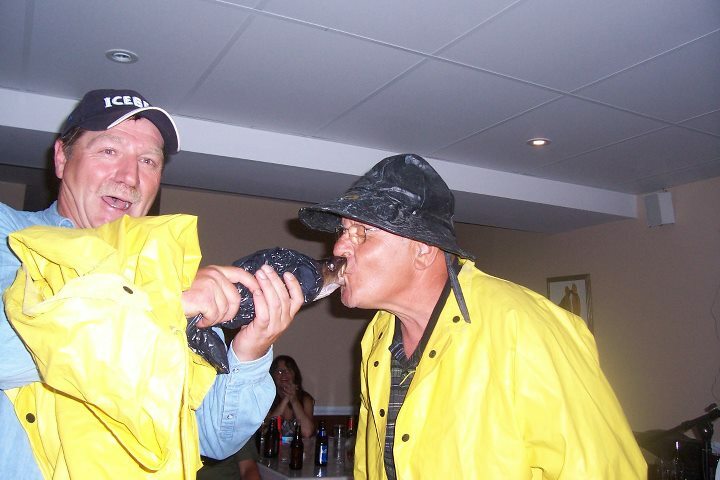 Tourism operators in Newfoundland quite often get visits from the mummers during the summer months. 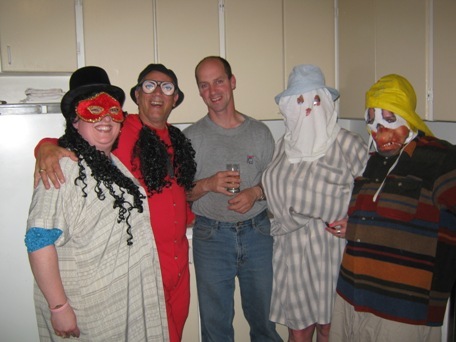 Mummers are also known to drop in frequently at Woody Island Resort as special guests during their "kitchen party". 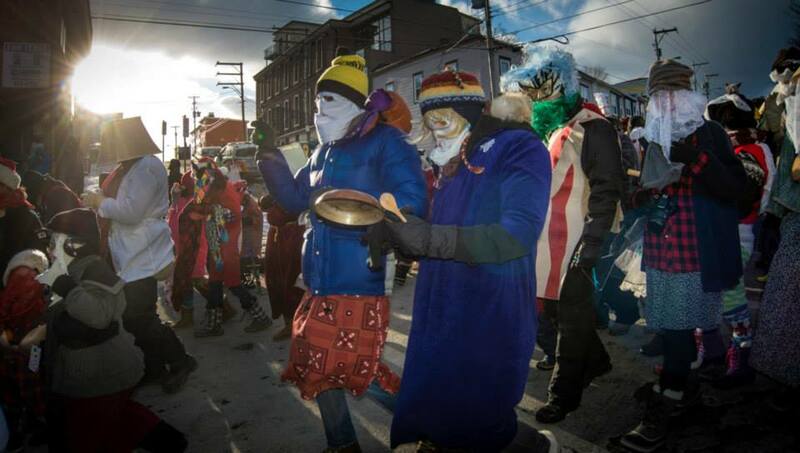 In 2009, the Heritage Foundation of Newfoundland and Labrador's Intangible Cultural Heritage office established what would become an Annual Mummers' Festival with a Mummers' Parade in St. John's. The success of the festival has greatly influenced the revival and the interest of the 'mummers' tradition in Newfoundland. Let the reviews speak for themselves! We could tell you a hundred different ways how Woody Island Resort is the perfect place to go for an authentic Newfoundland experience, but we prefer to let our previous guests do the talking. Guests that have been to Woody Island Resort have left us outstanding reviews on Trip Adviser. We are the number one top-rated hotel in Newfoundland, and for good reason. 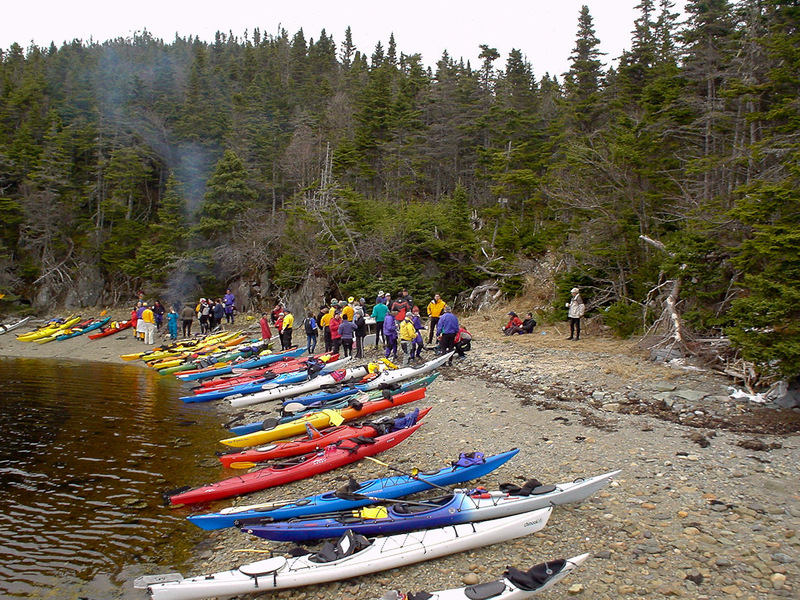 We are very proud of Woody Island Resort and what it offers to Newfoundland travel. When see reviews like these, we want to share them with everyone! We would like to say thank you to everyone for the lovely comments, and we hope to see you back again soon. 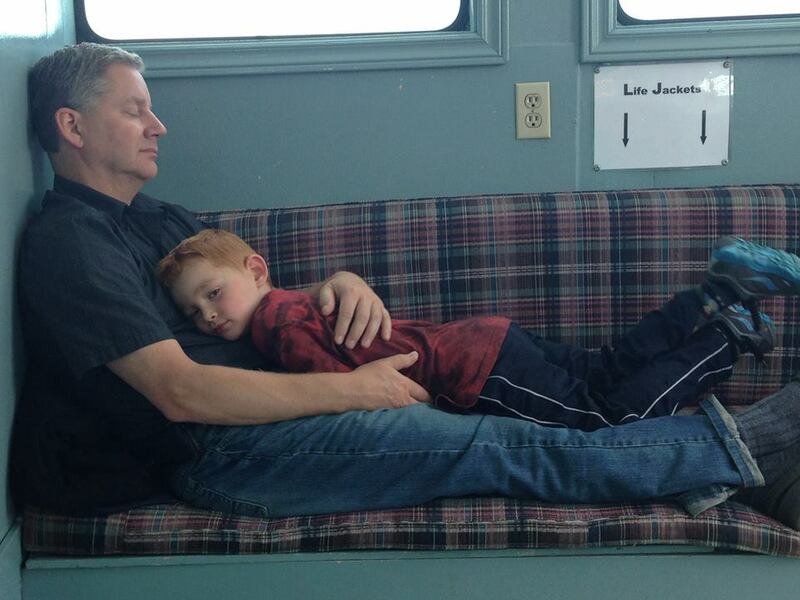 We'll make sure that there is a place on the boat waiting just for you! Well it’s that time of year again when we are gearing up for another season, with our first trip beginning on May 3rd! This year, we will again be including all our favorite activities enjoyed by past guests on their vacations, i.e. kayaking, kitchen parties, boat tours, beach picnics, bonfires, whale watching and much more. Of course, we will continue to offer accommodations and delicious meals for our guests! Woody Island has proven to be a great family vacation and will continue to do so for many years to come. We would love to see your photos. Submit them soon so that you don't miss out on your chance to win!! The closing date for submissions will be Friday, April 30th, 2014. To keep an eye on the photo entries, connect with us on Facebook,Twitter and Instagram so you don’t miss out! Have a great day, you will be hearing from us again soon! Thanks to everyone who has shared photos of their Woody Island Resort visits over Facebook, Twitter, TripAdvisor and through email directly to us. We truly appreciate seeing your trips and hearing about your experiences. Here are just a few of our favourite guest photos received so far in 2013. 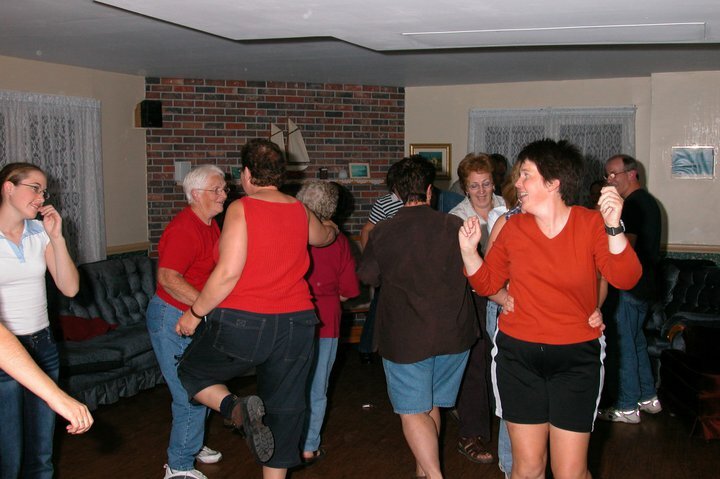 The "Newfoundland Kitchen Party" has always been a popular idea with visitors to Newfoundland and Labrador. Expatriates have fond memories of kitchen parties from living here as children or have heard about the parties from their relatives. Other visitors hear about the famous tradition through local culture, advertising and other mediums. Included with the Woody Island tour package is an old-fashioned kitchen party. Our party involves live entertainer with a guitar, an accordion, and even an ugly stick or two thrown into the mix. If you have been following our newsletter or social media presence, you may very well have heard of our 17th Annual Kayaking Trip to Woody Island Resort. We have created an event on our Facebook page here: https://www.facebook.com/events/544305225613462/. You can read a lot about this year’s event by seeing the description on that page. Just as in the past, we will be teaming up with local business, Eastern Edge Outfitters to put together our event. We’re hoping that this year will be even better than last! See below for a couple pictures from last year’s event and one other year. 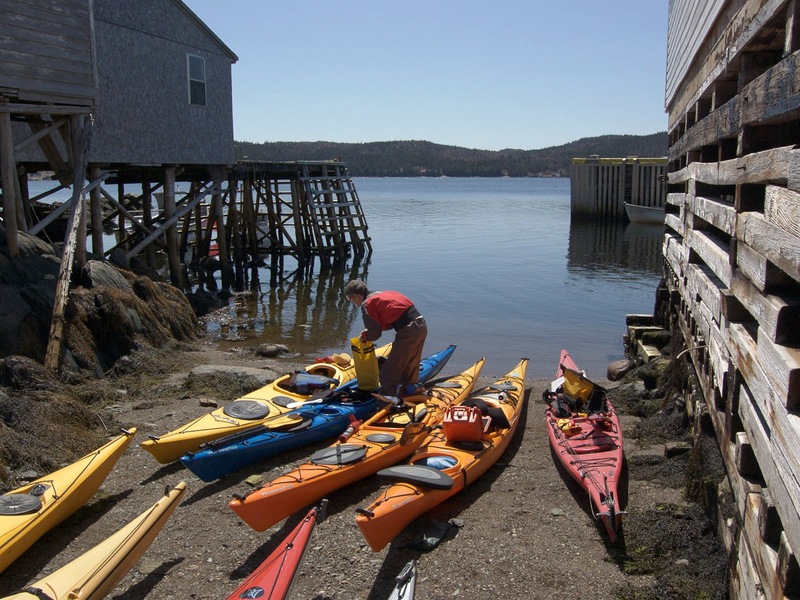 We also came across some pictures on this page: http://www.kayakers.nf.ca/sea_kayaking/Gallery/misc_kayak.html from a retreat a few years earlier. Have a look! Keeping a wedding simple can be a big challenge. If you have ever planned one you surely know that guest lists and budgets can quickly grow out of control. Planning a wedding at Woody Island has always been a little easier. This year it is going to be even more simple than before. Students of Shakti Yoga studio visited Woody Island for a two-night/one-day trip. The visitors used our large common space in the Oceanside Lodge to take part in their classes. Students followed structured classes and also had some time to work on challenging poses on their own, with the calming view of water in the distance, all the while. Spectacular weather even allowed some participants to stretch out on the beaches and banks of Woody Island. 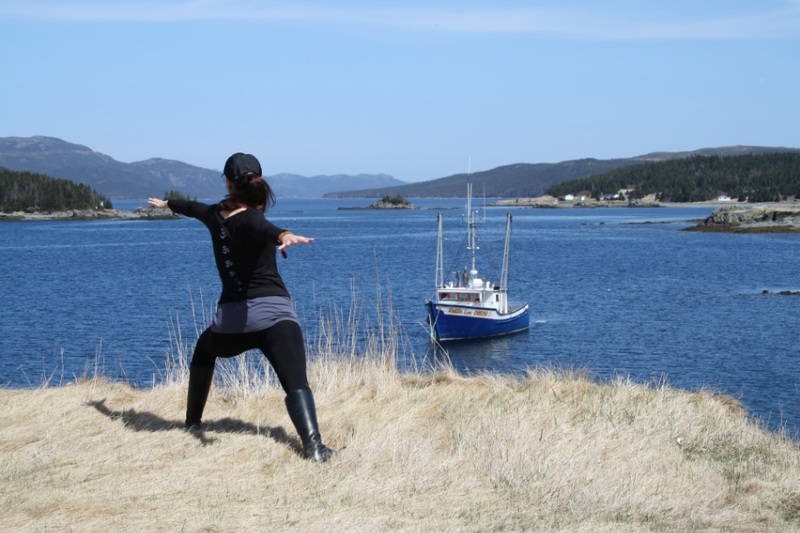 When their day was not filled with yoga, visitors had the chance to walk the island to take in the island’s history and nature. 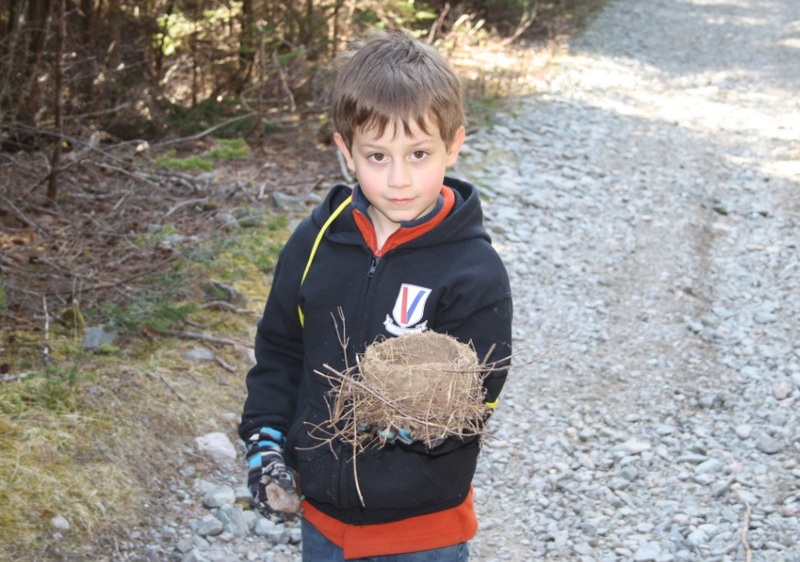 Walking visitors spotted an abandoned birds’ nest, an otter slide, and a few bald eagles. One visitor even made a small water gun from the branch of a tree! Keep checking into our blog throughout the spring and summer as we bring you: news, photos, and history concerning Woody Island Resort. Feel free to share your own stories, photos, or blog ideas. We hope our blog has you itching to visit (or revisit) Woody Island in 2013! HOLLYWOOD(Y) Island Resort: Well-Known Guests! Woody Island may be off the beaten path, but the resort has certainly seen its share of notable guests over the years. That group ranges from local politicians and television hosts to platinum award-winning band members and even a world famous television personality! In terms of politicians, There have been three Premiers of Newfoundland and Labrador to spend time at the resort. Clyde Wells, Brian Tobin, and Roger Grimes have all enjoyed our beautiful views and cozy accommodations. 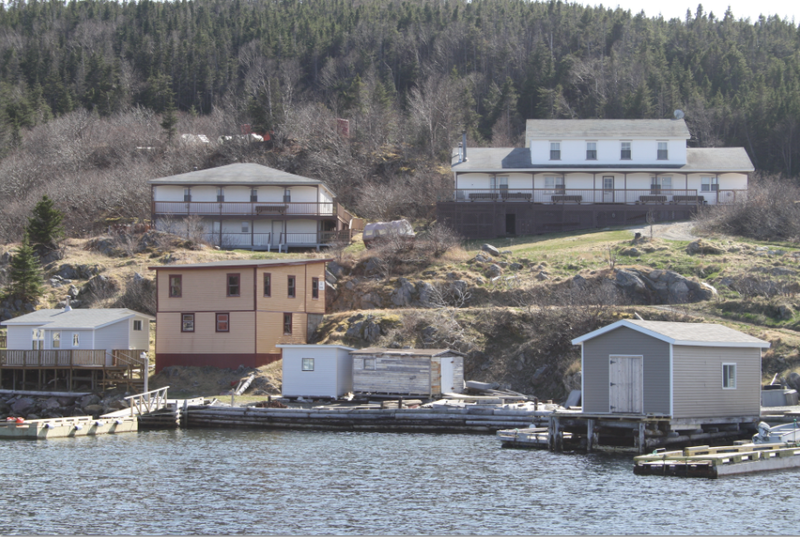 Continuing with the provincial theme, the popular local television show Newfoundland Sportsman finally crossed Placentia Bay to Woody Island after years of having the trip on their list of must-do's. Hosts Dwight Blackwood and Gord Follett did some excellent cod fishing and even got to experience our popular kitchen party, always with live entertainment! Allan Doyle, lead singer of Great Big Sea, and his wife came to Woody Island Resort for a visit a few years back. They savoured delicious Newfoundland meals and spent an afternoon exploring isloated coves and waterfalls on our boat tour. The platinum selling band will be playing at the famous George Street Festival in downtown St. John's in just two days time! Finally, Martha Stewart visited the resort on a kayaking trip with Microsoft employees back in 1997. She also shot an episode of Martha Stewart Living with us! During her stay, she got a map reading lesson, learned to jig for cod, picked some fresh local berries and finally watched one of our friendly cooks make our famous toutons! These celebrities managed to find us, so you have no excuse! And while you may not be known around the world or even in the province, Newfoundland hospitality is the same no matter who you are. Everyone is treated like a star at Woody Island Resort! A name is defined as a word or combination of words by which a person, place, or thing, a body or class, or any object of thought is designated, called, or known. In choosing a name for this blog, ensuring an immediate connection between the reader and the province of Newfoundland and Labrador and its people was key. The experience at Woody Island Resort is certainly unique, but always stays true to Newfoundland, so any title had to reflect that. Whether it's generosity, friendliness, hospitality, or perseverance, the people of this province are known to be some of the nicest and most hardworking folks on the planet.These are the traits of Newfoundlanders and Labradorians that are beautifully portrayed though many forms of art. The music, literature, dance, photography and storytelling communities are all strong and flourishing in this province, so there was certainly no shortage of material from which to choose a title. After careful consideration, "Saltwater Joys" emerged as the best representation of this province and its values. "Saltwater Joys" is of course the name of the famous song that so accurately depicts the resilient and appreciative mindset of the people of this province, people who have persevered in such a harsh and unforgiving yet ultimately rewarding locale for over five hundred years. "Saltwater Joys" conjures up distinct Newfoundland memories to all who have a connection to this province. Even if you don't have a noteworthy link to the province, the song definitely helps to provide some perspective. Watch, listen, and enjoy! At Woody Island Resort, there is an abundance of ubiquitous local sights, smells, and sounds. 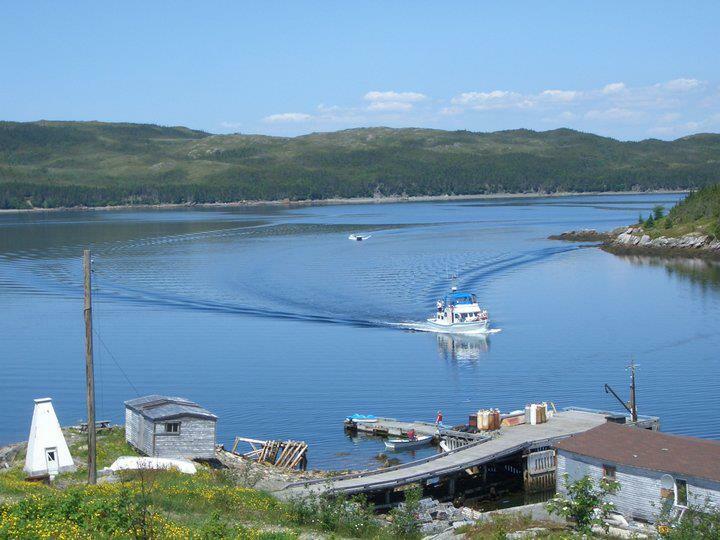 Whether you're sitting on the veranda enjoying breathtaking views of Placentia Bay, savoring delicious home cooked meals, or listening to a lively accordion song, there is no mistaking this place for any other. This is Newfoundland and Labrador, and everyone is invited! Don't forget to check us out on Facebook, Twitter, and YouTube for more information, as well as contests, photos, and videos featuring the resort!